During the Sermon on the Mount, Jesus was having an Old Covenant conversation with Israelites. They had been considered the salt of the earth. 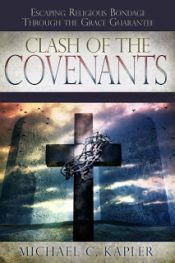 Those under that first covenant understood the connection between salt and the covenant, also known as the covenant of salt. In that former covenant, God found fault with the salt (the people) and salt with no flavor is good for nothing except to be thrown out. If this doesn't sound like good news, it's because it is not the gospel. By God's grace, it would be the covenant that would be tossed out instead of the people. Jesus went on to talk about the law needing to be fulfilled. He would accomplish this in us through His finished work, but first He is getting ready to show his Jewish audience how hopeless their situation was in their current state under that law.